We all know that Lucifer wanted to kill God and take his place. Ha! What a joke. How insane do you have to be to think that you as a mere creation, can supplant the one who created you from nothing? Where was the “Mental Health” profession when it really could have done some good? Well, as a counterfeit deity with no original ideas because, well let’s face it, he’s just another creation, the only thing you can promise is what the real genius promises his children. All you can ever be is an inferior copycat offering stolen goods and ripped off ideals. Ideals such as fake immortality, fake eternal riches and fake love. In Heaven, entropy doesn’t exist but does everywhere else. Only God can abolish decay, Lucifer cannot. Satan (Lucifer) cares about no one but himself. He is a liar and a fraud, a thief and a murderer. Death incarnate and if you follow him, that is what your reward will be. Eternal death (separation from God is death since God is life). “Depart from me ye workers of iniquity, I never knew you.” Words you definitely do not want to hear. Folks, we are at a time in our history when Lucifer is ready to make good on one of his greatest promises. Let me just say now that the Devil does indeed have some very smart and intelligent people following him, after all, he did manage to convince one third of the Angels. Smart people aren’t usually easily fooled and you gotta think that they must have a pretty good reason to believe following Satan is the way to go. Lucifer does have power and is highly intelligent, he can deliver on all of his promises, however flawed they may be. Don’t kid yourself, one third of the Angels didn’t follow him for nothing. He can back up what he promises, if only for a limited time. Immortality, the ultimate reward of which I speak. Yes, Satan can make good on this promise too, sort of. You’ve probably seen the movie “Transcendence” starring Johnny Depp, know who Ray Kurzweil is and are familiar with the “2045 Initiative”. If not, just click on the links. Ok, so far so good, don’t think I’ve lost anyone yet. This is all very believable and seems to be thought possible by some very smart and well funded people, right? 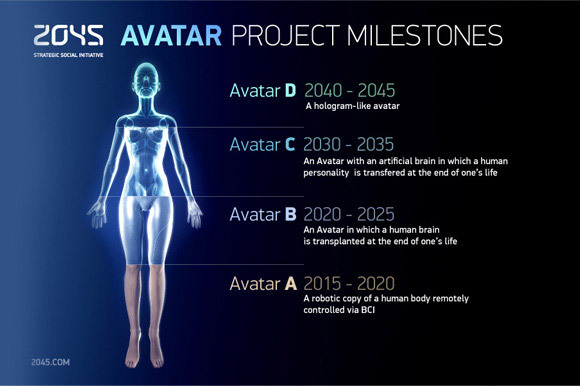 If you search around the Internet for all of the emerging technology concerning neurology and robotics, you kind of get the idea that the 2045 Initiative is very possible. Well, I’m going to tell you that not only does it seem possible, the Bible alludes to it in prophecy. I’ve always had trouble with this particular prophecy. Just exactly what does it mean? It’s one thing to want to die for whatever reason, but another completely for it to be impossible. The only thing I can think of that even comes close to vital persistence is found in computer systems, specifically RAID arrays. RAID stands for “Redundant Array of Inexpensive Disks” and is basically a scheme for copying data over many hard drives. A related form of this (and far more persistent) is distributed computing, data and operations spread over many remote machines working in unison. In both systems, the loss of one particular hard drive or machine is nominal, the data and computational hardware keep right on truckin in the other surviving units. “Immortality” achieved, the data never dies. Interestingly, I found another blogger while researching this post who concurs, but with a twist. This guy offers a bio-tech explanation for Revelation 9:6. He says that scientists have developed a DNA structure featuring a third strand. Now, I don’t exactly understand how this technological innovation could produce immortality, but I think the idea has legs. Perhaps the most advanced and eventual form of human immortality will be accomplished through cybernetics ala The Borg, a melding of hardware and flesh. I know, this all sounds very far out there however, when you consider black labs and secret research, the possibilities abound. As I’ve said before, we are only allowed to see obsolete tech, first or second generation. In reality, what actually exists is far, far advanced. Many theorists believe that when they forecast 2045, the actual will appear in 2020. I contend that when the general public first becomes aware of any “theory” at all, it has already been a physical reality for quite some time. The elites are only testing our readiness to accept by showing us “future” developments supposedly not yet here. Throw in the fact that the original imbalance in technological advancement was brought about by fallen angels way back in Genesis and you realize an entirely separate order of human evolution. The “Break Away” society if you will, comprised of Devil worshipers all. The Mark of The Beast may in fact be Transhumanism, the grievous and noisome sores a malfunctioning of the fake immortality. Sorry if you don’t know the Bible and are confused but the prophecy’s are easy to find. Look them up on Bible Gateway (I’m tired of holding hands). In the last blog entry I wrote that the dragon’s plan is about remaking man in his own image. The goal is the genetic transformation of man from a mortal being to an immortal being, upgraded in the flesh and blood and soul, beyond double-strand to a triple-strand DNA construction. How can we know this? The pattern is on display all around us, testifying over and again. Once you learn how to recognize the telltale symbols and patterns you’ll wonder how you could have missed it for so long!The dragon is going to enhance man genetically and produce a version of immortal flesh. With the flesh goes blood, and since the life of the flesh is in the blood (Lev. 17:11), a version of eternal life will be brought forth! You may think I’ve strayed too far off the beaten path with this, but I mean to show you that the beaten path has rather strayed too far from the Truth! This “enhancement” intended for Adamic mankind will be modeled after a genuine but will be a counterfeit that will produce offspring after the dragon’s kind. Don’t presume to think the dragon’s effort will be a mere attempt, he succeeds! I was engaging in some email dialogue with a friend a couple days ago who shared what came to her mind from Revelation 9. Now, if you take that literally (and really, you have to since the message is repeated in different ways to establish it for us), how can such a thing be possible? How can it be that men seek to die – but won’t die? If you consider the context of that verse you’ll notice that their condition is declared to be induced as it were by the sting of scorpions. The locust beings released from the abyss will inject into the bloodstream of their victims an anti-death agent in their sting! History reveals how the dragon has always had a bent for genetic engineering. One achievement, and you should Google or Bing it for your own learning, is that synthesizing triple helix DNA is being done. It is hoped that this is the ultimate cure for sickness and death as the additional strand supports the other two through superior error correcting. A cord of three strands is not quickly torn apart. So, yeah. I’m not making any of this up. Got goosebumps yet? I’ll continue soon, Lord willing, to give examples of the triple strand DNA pattern from both the genuine and counterfeit perspectives from a variety of very diverse sectors, and offer some other insights from the Bible. But before I close out – I just finished watching a new show on ABC called “V” – WOW! This appears to be the latest piece of mass disinformation programming. If you’re up to speed on this stuff and you really get the Olympic Ceremony Symbolism, Masonic imagery, etc. you’ve got to know the time for the ultimate unveiling is very, very near! ← Who Killed Dr. Martin Luther King?